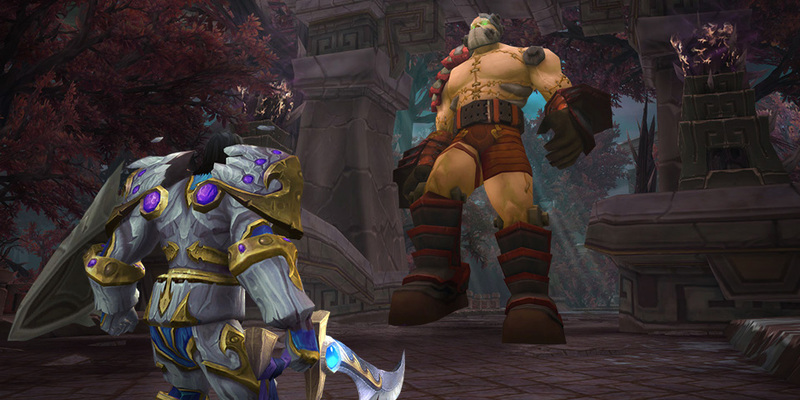 Other abilities and talents have been adjusted to encourage Holy Paladins to be near the people they want to heal—including melee characters, when necessary. A new Mastery, Lightbringer, which increases healing on allies near you. A row of Aura talents that provide a variety of localized beneficial effects, and refinements to some spells, such as Light if Dawn. 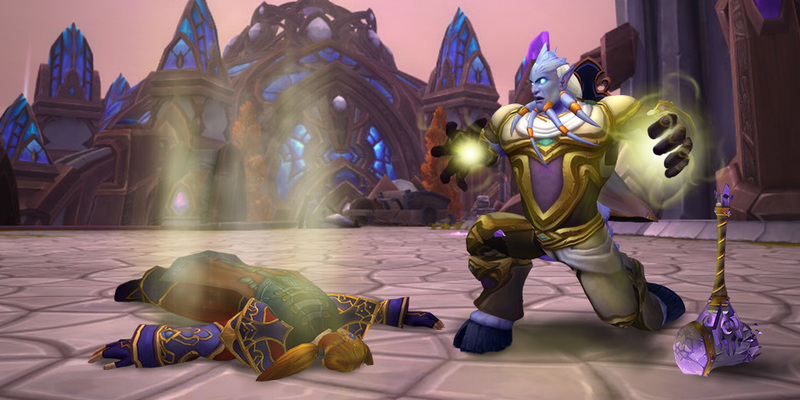 Light of the Martyr allows the Holy Paladin to rapidly heal them by sacrificing personal health. - A slow but efficient spell, healing a friendly target for a moderate amount. - A quick but expensive spell, healing a friendly target for a moderate amount. - Sacrifices a moderate amount of your own health to instantly heal an ally for a moderate amount. - Cannot be cast on yourself. - Unleash a wave of healing energy before you, healing up to 5 injured allies within a 15 yd frontal cone for a moderate amount. - Instantly trigger a burst of Light on the target, dealing moderate Holy damage to an enemy, or moderate healing to an ally. - Holy Shock has double the normal critical strike chance. - Your Holy Shock criticals reduce the cast time of your next Holy Light by 1.5 sec or increase the healing of your next Flash of Light by 50%. - Place a Beacon of Light on a friendly target. - Your heals on other party or raid members will also heal the Beacon of Light target for up to 50% of the amount healed. Your Flash of Light and Holy Light on the Beacon of Light target will also refund 40% of their Mana cost. - Proximity to your target causes your spells to heal for up to 30% (with Mastery from typical gear) more. 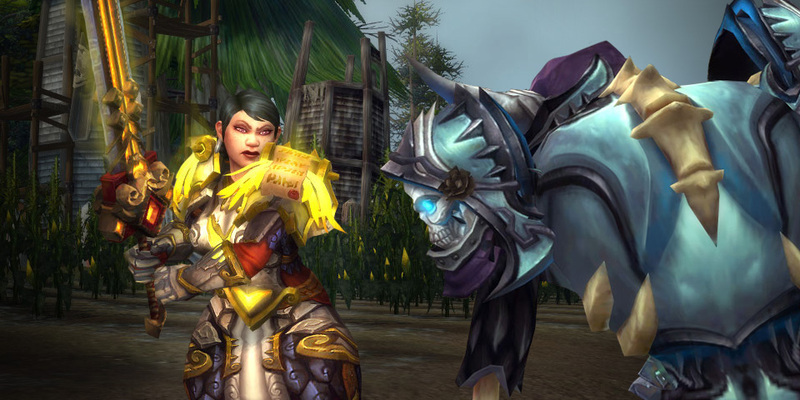 - The maximum bonus from Mastery: Lightbringer is increased by 24%, and it now increases your healing based on the target's proximity to either you or your Beacon of Light, whichever is closer. Judgement is the baseline spell (with 30y range) and strong dmg. New spell: Light of the Protector that heals yourself. - Instantly slam the target with your shield, causing huge Holy damage, and reducing damage you take by 25% for 4.5 sec. - Calls down the Light to heal yourself for 50% of your missing health. - Your autoattack critical strikes cause you to gain a charge of Shield of the Righteous or Light of the Protector. - Increases the damage reduction of your Shield of the Righteous by 10% (with Mastery from typical gear), and increases your chance to block melee attacks by 20% (with Mastery from typical gear). - Hurls your shield at an enemy target, dealing strong Holy damage, interrupting and silencing the target for 3 sec, and then jumping to 2 additional nearby enemies. - Also increases the effects of your next Shield of the Righteous or Light of the Protector by 20%. - Hammer the current target for moderate Physical damage. - If you are standing in your Consecration, Hammer of the Righteous also causes a wave of light that hits all other targets within 8 yds for minor Holy damage. - Judge an enemy, dealing strong Holy damage. - Consecrates the land beneath you, causing strong Holy damage over 9 sec to enemies who enter the area. - Throw a divine hammer that spirals outward from the Paladin, dealing moderate Holy damage to enemies it passes through. - Judge an enemy, dealing moderate Holy damage and causing the target to take 30% increased damage from your Holy Power generators and consumers for 6 sec. - A powerful weapon strike that deals massive Holy damage. - A whirl of divine energy, dealing strong Holy damage to all enemies within 8 yds. - Your Crusader Strike and Blade of Justice have a 20% chance to generate 1 additional Holy Power. - Your Crusader Strike, Blade of Justice, Divine Storm, and Templar’s Verdict deal 45% (with Mastery from typical gear) additional Holy damage. - Flings a blade of holy light to the target location. Reactivating will teleport the Paladin to the blade and strike nearby enemies for moderate Holy damage. - Replaces Hand of Hindrance.